If you’ve been feeling confused this month, you’re not alone. If you’ve been wondering why things seem to slip through your fingers this month, you’re not alone. If you’ve been overwhelmed by emotions and feelings, you’re not alone. If you’ve been living your life in one reality, then out of no where realize it’s been an illusion all along, you’re not alone. If technology seems to be one huge tangled up mess, you’re not alone. After posting my previous post, “Neptunian November”, I thought it timely now to delve into the OPPOSITE sign to the mutable water sign of Pisces (ruled by Neptune) which is the mutable earth sign, VIRGO. We must remember this: when a planet and/or Moon’s Node is moving through a sign, the opposite sign is also influenced energetically. There is a mix and a pull between the two signs and planets/Nodes etc. all at the same time. And we may not be aware of the opposite sign’s influence to what we are learning about ourselves until later on. What is Virgo? Virgo loves to BE of Service out in the world, to serve and BE there for others. There’s this grounded practicality to it – hands-on definitely – getting our hands dirty in some regard because we LOVE to DO this work of Service, which turns out to be organizing something (usually paperwork) or people or events or closets or whatever needs to be organized. Another aspect of Virgo is about the PROCESS. We love love love processes – aka rules of the road – and perfecting them. We ALL have Virgo and Pisces in our charts and therefore are influenced by this Chaotic Neptunian November whereby Neptune and the South Node of the Moon are together at 9 degrees of Pisces – all month! Creating a continuation of the Halloween’s energetic tendency of having the veils between the worlds thin and easily accessible. ALL MONTH. So what does this mean to all of us? The South Node of the Moon is where Karma lays. Unresolved issues from our past – be it this lifetime or a culmination of other past lives. Something unresolved this way comes – to BE resolved somehow, somewhen. Within the sign of Pisces, the South Node brings forth issues of Drama – victim/rescue me/I feel persecuted! – in some regard within your personality, reality, illusion, delusion of what you ‘see’ to BE your respective life. For all of us. Bringing in Virgo, where the North Node of the Moon sits exactly opposite, at 09 degrees of Virgo, comes forth the path our Soul wants us to head into. There are the high and low sides to every sign of the Zodiac. For Pisces: that Drama Triangle is one of the lows – along with escapist and addictive tendencies in order to escape the current reality of our lives. Within Virgo, the low is Perfectionism. That Ego-brain/mind/Self’s need to BE perfect, not make any mistakes, end of, or else! For some of us, this can be extreme – terror in fact – of making a mistake. Can you ‘see’ the enormity of energy it takes to BE PERFECT here? Yikes! Talk about carrying around a huge stick to beat ourselves up with, constantly. No wonder North America is such a stressed out continent of people! What’s Pisces/Virgo and the Moon’s Nodes message here? Especially with the veils between the worlds being so thin and accessible all month? Remember also, we began this Moon cycle in Scorpio (fixed water sign) on October 30th – just a day before Halloween or All Hallows Eve. Scorpio brings forth ALL our FEARS to the surface and out of the Darkness of the New Moon to be revealed by the Full Moon, into the full light. To BE SEEN. Now, during this Last QTR Moon phase we’re in currently, whereby we all experience our respective “Crisis of Consciousness in regards to the Ego-Self”. Meaning: something our Ego-Self DID NOT want us to know or be aware of or conscious of – magically revealed itself to us as of this week! Remember that Neptune, ruler of Pisces, can be nebulous. Pisces itself, as one of 3 water signs, is fog, mist, nebulous. And how many times this week did we wake up to fog? Interesting the timing of Nature with the planetary alignments. Neptune rules Pisces – the spiritual/divine essence of BEing of Service BEYOND the Ego-Self/brain/mind – going WITH the flow, energetically and otherwise, WITH your True Self/essence/eternal BEINGNESS that is God. With Love, Compassion, Joy and Forgiveness. Without Drama. Without control over/power over, trying to BE Perfect. So we have Neptune AND the South Node currently in Pisces at 09 degrees. We also have the North Node in Virgo, at 9 degrees, sitting opposite. Mercury rules Virgo and is currently in Sagittarius (18 degrees) the mutable fire sign, which has been creating a stress/tension line to BOTH Nodes + Neptune. Sagittarius is how we seek our Higher Truth, BE our Truest Self. Huh. Do you see how the planets support themes around the chart? Mercury’s position in Sagittarius wants us to LET GO of perfectionism. Human beings are the last to know that we already ARE perfection – in God’s eyes. End of. BEing HUMAN is just as important – as in, it is OKAY to BE wrong. To make mistakes. To feel our feelings. To laugh at ourselves and pick ourselves up and move along, WITH Love and Compassion and Forgiveness. THIS is the key: how are we loving ourselves despite our drama, addictions, escapist tendencies, and perfectionistic ways? With compassion, or yet another stick to beat ourselves up with? And forgiveness – yes! Please forgive yourselves along the way. Each of us is a beautiful work in progress, and each of us has our own unique PROCESS to learning how to BE our True Self, along the way. It just so happens we are all undergoing yet another rare event (Neptune + the South Node in Pisces whilst Neptune Stations Direct – aka standing still all month!) that supports all of us to LET GO of Drama AND Perfectionism – even if it is only a teeny tiny wee bit more – from however we’ve been living our respective lives already THIS lifetime AND from whatever we carried forward from our other lifetimes. To this moment in Time, here on Earth, in 2016. Love your Ego-mind/brain/Self. Use compassion. And forgive it. Over and over and over for as long as it takes. “What will it take, now, for me to be comfortable with being human, to make mistakes and love myself for it. What will it take?” or words to this effect – say it as a mantra – giving it out to the Universe to help you help yourself through these Chaotic, nebulous, times. As the Canadian Thanksgiving and Halloween came and went in October, I kept wondering what November would offer as both Neptune and the South Node, both in Pisces, have been slowly coming together. All Hallow’s Eve or Halloween is the day of the year when the veil between the Worlds is thin, creating a time of easily accessing past life insights, clearing out old energies, and connecting with our Light BEings (aka Higher Self, Angels, God, Source, Great Spirit, Guides etc.) more clearly. With the South Node and Neptune, Rx (retrograde) within Pisces, the mutable water sign Neptune rules, ALL of November is like All Hallow’s Eve! Easy access/clarity/clearing the decks of whatever OLD stuff needs to be accessed/cleared to make room for our respective NEW connections/directions/insights. Neptune has been Stationing Direct all month, so far, as it slows down to seemingly turn Direct as of November 20th (it’s been Rx since June 14th). All the slow-moving outer planets slow down and either turn retrograde (Rx) or direct (D) every half year or so. These moments of standstill are called Stations. Astrologically, when a planet is stationery, the energy of that planet is amplified (similar to how Jupiter amplifies or “makes it all louder” energetically, the sign it travels through for roughly a year) and is more focused, in your face. No matter what you do to escape it, it shows up! All of November is like a lead-up to a Full Moon energy – it peaks, then falls off – amplifying within the realm of themes of what Neptune/Pisces rules. Neptune is basically ‘stopped’ all month AND the South Node, in Pisces, has caught up to Neptune – both at 9 degrees of Pisces. This is a RARE event – FYI – due to the fact that Neptune returns to Pisces once every 165 years AND the South Node moves through Pisces every 18.6 years. Having BOTH happening in the same month is rare. These two players are conjunct one another all month. Neptune entered Pisces in early 2011 and will leave Pisces in 2026. Roughly 15 years for all of us to reconnect with our subtle Spiritual/Divine selves (and learn what this truly means to each of us). Addictions/Escapism – how our respective Ego-Self/brain tries to escape current reality, usually diving as deeply as it can, to distract us, via our respective addictions! Now addictions can take forms other than drugs, alcoholism, over-eating etc that we usually associate Addiction to. There is shopping/spending money, over-exercising, marathon TV-watching or reading, computer games, internet surfing – anything that takes our attention away from the NOW in order to divert ourselves away from what the NOW holds that our Ego-Self isn’t interested in dealing with. In other words, scared to death of, in denial of, resistant to change…. Mysticism – what you believe this to be, and how it shows up in your life. Some call it spiritual, some religion. It is Beyond the Real or earthly realms. The Unknown, Untouchable (not concrete or ‘seen’). Some may call it Magic. What do you believe mysticism to be in your life experience? And how are you connecting with it? Spiritual Sensitivities – here we can become, energetically, able to sense/hear/’see’ how others feel – without asking or talking about it. We just KNOW. Those of us born with our Sun or Moon or Rising Sign in Pisces understand how this works. It is like breathing – we take in what others feel (somewhat like a sponge in the ocean) clearing their toxic ‘stuff’ leaving them feeling better – but then we, the sponges, feel like crap! Toxic people, toxic environments, toxic relationships, toxic conversations – they will become louder this month. This includes chemicals used in cleaning the home, clothes, car etc too. How loud does it have to get before you say, “Enough! NO thank you!”? Walk away from the toxicity. Stop taking on other’s stuff. Breathe your own fresh air. Clear your aura/etheric bodies + Emotional body/Mental bodies with showers/baths, and ask your Angels to clear all toxicity out of these subtle bodies for you and replace it all with what YOU require/need at the time. I’ve been doing this cleansing/clearing for years to keep my emotions MINE, and not hold onto others’. And it works! Along with showers and baths – they clear the subtle bodies surrounding our physical body too! Walking along a river or ocean or lake too. Deception – now this is different from Illusion/Delusion. Here, there may be someone deceiving you. (Emphasis is on MAY BE) What is their true intention? How do you trust what you are hearing, feeling, receiving? Intuition! You already KNOW what is true and what is deception. You’ve had some red flags on the play, niggling you, correct? Tune in, and confirm WITHIN what is REAL for you. Also know this: our Ego-Self/brain can be deceptive too – one of the tricks for distracting/denying and not wanting to change the status quo of your current reality. Your INTUITIVE KNOWING never lies! Know this to be the absolute truth! Feel it. Trust it. Always and in all ways. For those of you born with Chiron in Pisces – your sensitive energy antennas will tell you (similar to those with Sun/Moon/Rising Sign in Scorpio) via the body language – the lips say one thing yet the physical body tells a whole other story! LISTEN with more than your ears…TRUST you know your Inner Truth. And act accordingly, lovingly with compassion and forgiveness. Spiritual Strength – here is where FAITH comes into play. Put your trust into that Higher Power when the going gets rough! That Inner/Upper Wisdom that works hand in hand with your Intuition. Meditation, prayer, mantras, affirmations – whatever works for you – bring your Spiritual Practice into the every day. If you’ve been avoiding this before now, know that it will seem effortless now to begin. Whatever that feels/looks like for you. Could be a new tarot deck you use to connect with your Inner Wisdom until you get used to tuning in on your own. Or seeing your Astrologer, or minister/priest – someone you trust to help YOU ‘see’ your own Inner Wisdom – that you already have, but may have not had the courage to connect with before now. Or trust! Increased Compassion, Spiritual Guidance, Intuition, Imagination, Creativity: any and all of these aspects of Neptune/Pisces will be enhanced – including your Dreams! I’ve had plenty of clear ones, especially this month so far, having both Neptune and the South Node so close to my Pisces Sun. Dreams are messages from the Higher Self/Angels etc. to give you answers to whatever you’ve been asking about, or just as a heads-up of what may be leaving you/what you’re allowing to LET GO OF. Whenever our Mom dreams of babies, we all know someone in the extended family is pregnant. We wait to hear the news – and usually do within days of her dream. BELIEVE what you ‘see’ in your dreams. Know that they aren’t literal – they are symbolic. Death can mean some aspect of your INNER Self is dying, making room for more of your True Self to show up. When I dream of snakes, I know I am casting off yet another layer of the OLD – there is a transmutation of some sort I am undergoing via Soul/Inner Growth. Pisces brings forth strong emotions/feelings. Watershed moments. Also why we feel we need time to be alone, away from others. Hence ‘feeling’ overwhelmed by other’s emotions and/or drama! Take time to BE in Nature – walks, runs, sitting on a bench and just look around, hear the birds chirp, the squirrels chase one another for that next bit of nut or seed. Allow Mother Nature to heal your subtle bodies. Breathe in her healing energy – no matter the time of year! There is no logic to Pisces or Neptune. Nebulous – both of them. Water flows, ebbs and flows, moves anywhere. Allow yourself to ebb and flow past the past, into the NOW. I wish to end this post with an interesting note from one of my favourite Astrologers – Steven Forrest – who believes November is also a time of “When The Saints Come Marching In”. Anyone birthing a new baby this month, in 2016, could most likely be birthing a SAINT – someone who is highly sensitive to its environment (noise, chemicals, light etc), who, when able to talk in a few years, will speak about past lives he/she has lived, perhaps even speak of events that will, and do, come about. Their Karma and timing on Earth will bring sensitivity, compassion, forgiveness, and Higher Love (Neptune is the higher vibration of Venus). They can be susceptible to addictions/escapism if their home environment is too much for them to cope with. If the parents/family they are born into already have an ingrained spiritual practice (mediation/yoga/energy work) these newborns will thrive. It will be interesting to ‘see’ in decades to come who these new Saintly children are and what Service they choose to be in (they will have their North Node in Virgo – wanting to BE of service in the world). Somewhat like a Mother Theresa, Ghandi, Mother Mary, or Mary Magdalene. Bringing forth spiritual teachings and sensitive care this world is in dire need of. Or they could be “scoundrels, natural-born liars and deceivers, or simply crazy” according to Steven Forrest. Time will tell – we already see how that Drama Triangle from the Old Age of Pisces has society caught up in all manner of escapism, drugs, alcohol and other ways of crazy – all Shadow aspects to deny their Inner Spiritual selves, deny their feelings and emotions, deny their sensitivities. Pisces and Neptune invite all of us to BE in the moment, flow WITH our feelings/emotions, LISTEN to our Inner Wisdom (aka intuition), have FAITH, TRUST in the Divine – there IS a REASON for everything – the timing of all events and circumstances. Looking at this New Moon’s chart, I see that Water Grand Trine is still in play (how emotional were you last Moon cycle?) bringing together Vesta in Cancer (focus on family/roots) + Juno in Scorpio (deeply passionate about EQUALITY in relationships, especially those intimate ones) + the South Node/Dragon’s Tail in Pisces WITH Neptune (!!) both Rx (retrograde) too – hence pointing to where this inner emotional watershedding is coming from! Letting Go (via that Dragon’s Tail swishing it all out like a broom). Of Old Past emotional trauma/turmoil from Within re: family + intimate relationships – from this lifetime and perhaps stemming from way way way back there life times that are still impacting us today! Whew! I find it fascinating that we are experiencing all of this during this year’s Virgo Pantheon! Virgo rules the 6th House of the Health of the Physical Body + BEing of Service (to self and others) in some regard. What will we collectively HEAL this Moon cycle? And far into the near future (3.5 years) due to this Eclipse today, due to the Action we decide to take? Moon + Sun at 09 degrees Virgo 21′: Emotional Body + Spiritual/Soul Body come together to feel/intuit/receive insights AND take action accordingly, about the health regimens we do for ourselves (or not!) and how we work/volunteer our time out in the world, beyond our home. North Node at 12 degrees Virgo 43′, Rx: The direction our collective Soul wishes us to navigate (it entered the back end of Virgo November 13, 2015) re: the recurring themes of health + service. Where are you NOW compared to nearly 10 months ago? How have both of these areas IMPROVED in your life? Do you ‘see’ there are still issues to address here? No worries! We all have until May 10, 2017 to sort it all out before the North Node/Dragon’s Head enters Leo. Jupiter at 28 degrees Virgo 17′ conjunct Mercury Rx at 28 degrees Virgo 55′: Talk about EXPANDING/Amplifying the need for our logical brains to CHANGE its Mind, eh? How much LOUDER does it have to get for each of us to MAKE the heartfelt changes our physical bodies require for better nurturance, energy, being taken care of equally well as the rest of us? Hhhhmmmm….I love the timing of this duo – Mercury returns to where we were at back in mid-August or so with plans, ideas for changing things up – where are YOU at with it NOW? And where, once this Mercury Rx period completes (September 21st – Autumnal Equinox) and we navigate the post-Rx Shadow period (comes to a close as of October 6th), will our MINDS be re: health/work/service? We can change the plans/ideas at any point along the way, tweaking our processes – the KEY here is to MAKE some plans to start off from! Gentle Reminder about VIRGO: the Shadow side here is one of Perfectionism, Procrastination, Delay Tactics, Excuses (as in WORK needs more of my attention than my PHYSICAL BODY does)….need I go on? To Set a PLAN in motion is MORE than what you had going previously, correct? So why wait to perfect it now? It can be perfected at any time along the way as you DO the Action of whatever that initial plan started you on! Get out and DO IT and ENJOY the DOing of it…please…. T-Square focal point with Saturn + Mars + Vertex in Sagittarius From the New Moon pair (Moon + Sun) + North Node Rx in Virgo opposing the South Node Rx + Neptune Rx in Pisces! Whew! Just in case the actual New Moon portion of this programme doesn’t get you Up and Going (!) THIS formation will create MUCHO tension and stress Within to a) LET GO of/dissolve the Past Victim/Drama Triangle leftovers of the Old Age of Pisces, b) while creating an AND to move TOWARDS your Soul’s current PLAN via this New Moon cycle AND Solar Eclipse (did I mention these energies will be in play for the next 3.5 years?) into healthier ways of treating your physical body AND how you work…. the MORE we are able to create this as an AND (it can be a walk in the park if the logical mind/brain joins in!) then c) more positive energy will be sent towards being responsible for your personal goals (Saturn) and take even MORE Assertive Action (Mars) to see those long-term goals come into fruition (!) AND then something this way Fateful/Destined comes as a result! Cool. Wonder what that will be? Mystic Rectangle in Earth/Water signs (Feminine Energies): here again the New Moon/Solar Eclipse players are involved. Here we are being asked to combine and experience MORE of how we DO health/work WITH our Spiritual natures (Neptune); at the same time nurturing ourselves via ALL our senses/with value/being hands-on AND create EQUAL opportunities for deep passion/emotions to arise to meet us. These two polarities I just mentioned will show how we push/pull against ourselves (Ego-self resisting change vs. Soul-self seeking change) re: health/work/relationships to Self and body AND others! The KEY here is to create some NEW talents/skill sets that will assist you to move INTO change: nurture yourself emotionally, physically actively in a way you’ve not allowed to occur before now. AND, Connect Above via meditation, walks in Nature, to CONNECT Within to tap into your hidden depths of passionate life/living! Create yet another AND here – active time AND quiet time – with YOU – out in the world, and IN your Inner World. That’s it! Go for it! BE it! FEEL it! Allow whatever OLD outmoded habits you’ve been clinging to BE released, gently, lovingly and heartfully! What seeds of the NOW do you wish to plant that will be growing along with you these next 3.5 years, let alone this Moon cycle? And before I leave this post, for those of you interested to know the NEW vestment we are picking up this Moon cycle/Solar Eclipse via Venus/Inanna – as of September 3rd still within this New Moon/Solar Eclipse phase (!) we are taking back our CREATIVITY piece that we let go of back on February 5th. Here Inanna regains her ankle bracelets via the Sacral Chakra. What do YOU wish to CREATE More of, via Virgo (Venus at 5 degrees of Virgo) within your life moving forward, that you let go of in February? How is it different NOW for you compared to then? Here is yet another Sacred Feminine Wisdom Principle piece to add with the Mystic Rectangle formation you’ll be dealing with. Create! Create! Create! Tap into your Sacral Chakra area whilst meditating, connect with your Creative Higher Self therein and listen to what she/he has to say! Today at 12:11p the Moon moves into the Gibbous Moon phase, at 07 degrees Capricorn 22′. By this time of the Moon cycle we are evaluating our Inner Growth progress/process – what do you CONSCIOUSLY know about yourself that you didn’t before, since the August 2nd New Moon in Leo? Heartfully, where are you? Capricorn brings us to a cross-roads of sorts: do I stay the course I have been on OR do I head upon a higher, more challenging, yet fulfilling pathway? Where are you at? What Higher Ambition are you seeking for further Inner Fulfillment? Capricorn asks us to set forth some goals towards long-term plans that may not show fruition soon. Can you stay the course? Do you have faith and the wisdom to commit? And there is that portion of Capricorn that looks for the material gain here – what will you be GAINING if you stay where you are vs. moving higher up along a new path? Pluto, Rx (retrograde) at 15 degrees Capricorn – the Great Transformer of all things power/control/greed into EMPOWERMENT for Self and Others – aka a win-win situation all the way round. Pluto comes by to peel back the carpet of whatever our Ego/brain has been hiding underneath re: fears of moving forward, for whatever reason, excuse, piece of denial it can seek until this moment in time. Neptune Rx at 11 degrees Pisces – She dissolves issues of illusion/delusion we may possibly have – especially if we still have shards of connection to that Drama Triangle from the Old Age of Pisces (victim-rescue me-bully + Martyrdom). All the excuses our Ego/brain can IMAGINE to stir up MORE fears to do otherwise…If we choose to do so, we can IMAGINE BETTER, MORE, and EASE & GRACE for ourselves. We can! Change the perspective…easy peasy! South Node Rx at 12 degrees Pisces – Holding hands with Neptune Rx, the South Node or Dragon’s Tail also brings us a CHOICE: Do I choose to allow that Dragon’s Tail to swish away ALL the PAST ways of how I’ve dealt with that Drama Triangle AND choose to IMAGINE Better, More, with Ease & Grace etc for myself? AND bring forth ALL the GEMS of what still works from the Old Age of Pisces (faith, connection to Spirit/God/Light of All whatever you name it) with the inner knowing that I am supported, guided and will NOT Fall/Fail on a Higher Path into the Unknown of what is my Destiny (because we really don’t know how it will all work out – and may be pleasantly surprised to SEE MORE/BETTER/HIGHER – far beyond our own creative imaginings)! OR, just stay the course, do the same old/same old things, like we’ve been doing over and over and over again for How Many Lifetimes Now? Your choice. Neptune Rx with South Node Rx in Pisces letting GO of Old Patterns of Conditioning to HEARTFULLY have FAITH in your Higher Creative Self/Intuition/Inner Knowing of Listening Inside yourself (meditation/mantras/BEing in silence with yourself) that Following the Heart’s True Desires WILL Manifest Greater rewards in your life- and it all begins with your IMAGINATION – what can you enVISION that is MORE/BETTER/HIGHER for your Life now? Without judgement, or fear, or scoffing at the very idea? While we all undergo this process, guess what also happens? Pluto Rx in Capricorn learns to WORK WITH Neptune Rx + South Node Rx in Pisces! We create an AND in some regard, Within Self, that hasn’t been forged before now. A new skill, way of coping that hasn’t seen the Light of Day. Cool! Aren’t you excited to ‘see’ how this is all going to come out? I am! The Full Moon in Aquarius will ILLUMINATE any issues that still need to be addressed within that phase/during that phase – so a HUGE wakeup call for some of us, in some regard, as to HOW we’ve been ignoring our Heart’s True Desires. Perhaps you’ll realize what IS your Heart’s True Desire for the very first time this lifetime! And, Aquarius represents THIS New Age of Aquarius – and Leo (New Moon) IS the opposite sign to Aquarius. My question to all of you: How will you navigate forward through these early days of the New Age of Aquarius if you DO NOT have Heart? If you do NOT have FAITH? If you do NOT have GOALS to imagine and move towards? Heartfully? Truly. Really. Best of luck to you all on this interesting next piece of the Journey this Moon cycle has in store for you. And remember: what we manage to CREATE, HEARTFULLY during this Moon cycle sets us up for the September Eclipses! Energy of change that has influence in our lives for up to 3.5 years into the future! Also: Mercury will be assisting all of us with how we are MINDFULLY deciding what truly works re: our daily work/BEing of Service out in the world, and the health processes of our physical bodies. If we don’t have our health, how High can we Climb to Higher Heights on our Upward, Evolving Life/Soul Paths? No matter what age you are now – where do you FEEL you need to head toward now? How HIGH do you wish to climb? Co-Creative, Heartfelt Leadership – New Moon in Leo! Hi Everyone! 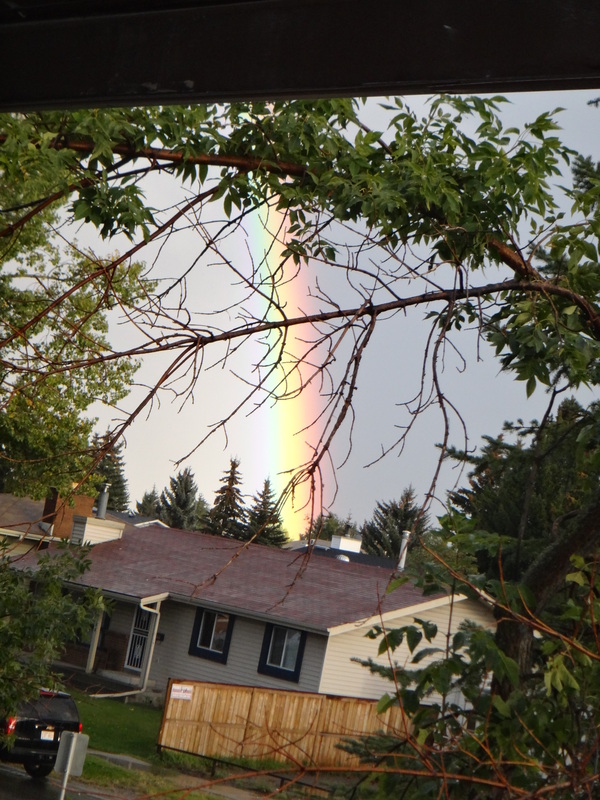 It’s been quite the ride with the weather during the last Moon cycle – huge thunderstorms here in Alberta, with either driving rain and/or hailstones and wind, with flash floods. Fort McMurray, in northern Alberta, experienced first the horrific forest fires in May, and just this weekend flash flooding due to 75″ of rain in one fell swoop! Too bad the rain didn’t manifest back in May to belay all the damage and destruction. Quite the example of masculine then feminine elemental energies there to balance everyone, and thing, out up there. It will be interesting to see what this natural re-balancing creates in their future! Generosity: how are you sharing yourself with others? Is it in a balanced, equal give-and-take way? By standing in your power, empowered, creating a win-win for everyone involved? If not, why not? Another sign of victim-rescue-bullying of the Drama Triangle otherwise…or martyrdom if you aren’t coming from an empowered place within…is it time for you to let this go yet? Determination: allowing yourself, once you KNOW what your WISHES are to CREATE in the moment, to envision these wishes WITH heartfelt INTENTION, determined to ‘see’ it come to fruition within your Life! Without limitations or restrictions or second-guessing…allow your vision to fly up to the Cosmos like a balloon, filled with ALL of your heartfelt wishes and dreams and intentions – that are HEARTFELT, not of Ego-mind origin! There is a difference. Tempering Arrogance: this one we all have issue with – as Human Beings – we cannot live down here on Earth without the Ego (or the Monkey Mind that likes to assist the Ego) to resist change, BE RIGHT/self-righteous, MY way is the BEST because it JUST IS! Etc etc etc…this is all coming from Ego not the heart with Loving kindness, compassion, forgiveness and on and on…do you ‘see’ the difference? A YOD, the Finger of God, points directly at the Sun/Moon aka New Moon in Leo position, as of today! The two planets that require each of us to LET GO of OLD PATTERNS OF CONDITIONING this Moon cycle, who create the base of this formation, are Pluto Rx (retrograde, inner-directed and therefore personalized transformational energy) within Capricorn (how we look at and expect material gain in our lives, plus focus on reputation, the public aspect of self, goals we set for ourselves for long-term gain) – how do you EMPOWER yourself, create win-win situations vs. power and control struggles Within and Without? Then there are BOTH Neptune Rx and the North Node Rx in Pisces – both are personalized (taking things personally, BEing hypersensitive about it, for a reason!) AND directed to make us ‘SEE’ in ourselves – HOW are you IMAGINING a BETTER and GREATER world/life for yourself despite what came before now for you? OR, are you still stuck on that Old Drama Triangle (from the Old Age of Pisces) of “I’m a Victim, Rescue ME!” Or “I feel Persecuted/Bullied! Help me! DO THIS FOR ME!” Or, “I cannot stand my Victim position, so I’ll just go out there and RESCUE someone else instead!” The latest version of this Drama Triangle we are all dealing with in 2016 has been MARTYRDOM – “I’ll do this on behalf of the rest of the family, the company, the world even! And no matter how much it hurts, or harms, or kills me, I will not refrain from the challenges!” Or words to that effect…thoughts, feelings, behaviours, habits…just saying – we are ALL undergoing rapid changes Within to LET GO OF THESE attitudes and beliefs from our collective past lives we lived within the Age of Pisces. The MORE you LET GO and begin to IMAGINE a magical, creative Life of wonderment and joy that your Soul envisions for you, the sooner you’ll EMPOWER yourself to BE more in the Now, leave the past in the past, and the future to the Unknown, AND empower all of those you interact and relate to daily, in turn! BE the change, BE the peace, BE the love, BE the Co-Creator of YOUR LIFE! This is what LEO and the New Moon are signalling for us now. Grand Trine in Water: this is interesting, very interesting. Three of the Asteroid Goddesses (Juno – Sacred Marriage – in Scorpio + Pallas Athena – Warrior for Equality – in Pisces + Vesta – Home/Hearth/Sexuality with focused intention – in Cancer) within the element of water (feminine gifts of feelings, emotions, intuition, insightfulness, symbols, and allowing yourself to receive all of these) are connected via love lines with one another. How are you allowing yourself to receive any or all of the above, for you? Then honestly stay with it all, deal with it all, forgive and move on, lovingly, with self and others? Huge AHA! moments, watershed moments to come, if you’ve been doing your Inner Self work up until this New Moon. If not, well, could seem like a tsunami hit, all at once. Be aware, BE in the moment, and know we are all undergoing this too! None of us are alone. Ever. MERCURY! Yep, twill be the last and 3rd round of Mercury Rx (retrograde) coming up for us! Hooray! I love this timing, I find information I didn’t know I needed to know (depends on the sign Mercury is travelling through within my chart) AND in Virgo – Mercury (and VENUS!) are setting us up for the upcoming Solar Eclipse in Virgo September 1st (action we’ll take for the next 3.5 years of Life Experience on whatever we decide upon between now and then). A chance for do-overs in conversations, thoughts, ideas, decisions – this is Mercury Rx. HOW we communicate and what we CHOOSE to talk about. Interestingly, Mercury rules Virgo! So yes, we’ll BE in our minds a wee bit. The pre-Mercury Rx Shadow period begins August 10th, with Mercury finally Stationing Rx as of August 31st, then BEing Rx until September 21st (Autumnal Equinox timing! ), Stationing Direct again September 22nd, and the post-Mercury Rx Shadow will continue until October 6th. REMEMBER: look at this period as a chance to ‘see’ what you’re saying/thinking/writing/sharing, to whom, and how, and why and when (especially your Inner Talk! ), then during the actual Rx period, to whom, why and when do you feel you need to revisit that conversation or shared experience? And once Mercury is Direct again – the decisions you made between now and September 22nd, were they heartfully what you TRULY wanted/desired/ expected/wished for, or not? So again, once Direct, you have another chance to change your mind! Ensure that you keep tabs on major decisions made and when, so you can look back at this timing to ‘see’ how on track you heartfully were, co-creating with your Higher Self/Creative Self, truthfully. Allow Virgo’s Shadow need to BE perfect, to KNOW IT ALL NOW, and to BE of SERVICE beyond the call of duty (!!) to be part of your past responses. BE of Service, heartfully. Look after the health of your physical body, heartfully. BE in service to YOURSELF, creatively, lovingly. 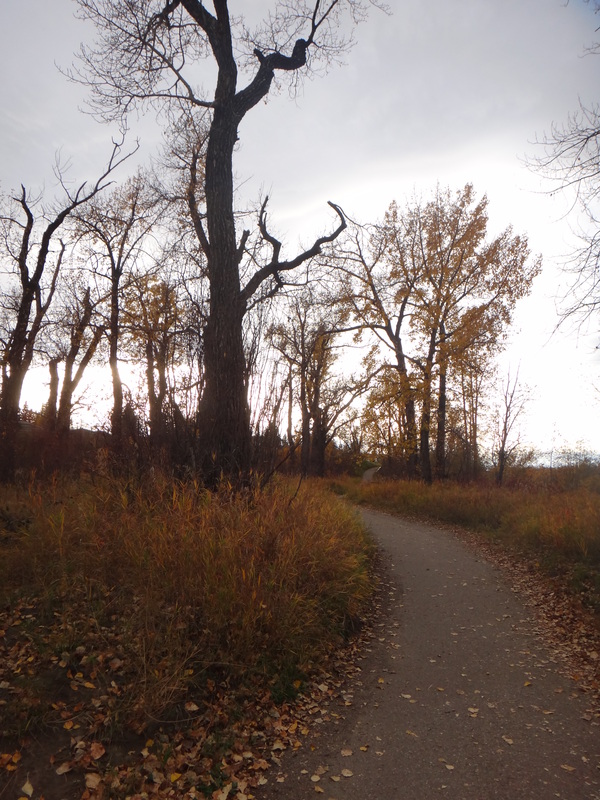 Nose Hill Park Labyrinth with my Aries friend, Chris, leading! I’ve been actively looking for a day job for two years now – Virgo rules the daily job front, and happens to be my Rising Sign (making Mercury the ruler of my birth chart too!) and is the opposite sign to my Pisces Sun/Soul self – have I been embracing my true unique self that has incorporated ALL the experiences, and talents and skills that came along with it all, that are now reduced to my Resume? Am I truly looking for work (in addition to the Astrology, my passion and first love!) that reflects ALL of me? WHERE do I find ME in the work I look for? Interviews I had these last two years did not show the fruition of jobs because I was NOT in the right and proper frame of mind to SHOW UP authentically as ME. Sometimes we show up to BE what we think others want us to BE…we all have done this. I tell this tale to encourage all of us to BE authentic, as much as we can, in EVERY MOMENT, we can. BE honest, trust your heartfelt feelings/intuition, watch for the magic of signs and symbols in your environment that help lead you intuitively to YOUR next step, and CELEBRATE! You, yourself, your life. Always, in All Ways. RAINBOW PATHWAYS….ahead…have you picked yours yet? Do you ‘see’ in the near distance ‘where’ you are about to land, INTO your New Life/pathway? This Moon cycle’s YOD, or Finger of God, pointed you into this direction and onto that pathway. It is very important that You decide NOW, and LAND. Do not tarry or hesitate. You MUST place your feet firmly upon your path (what colour of the Rainbow is it?) and walk directly to your NEW Life/pathway just ahead. Do it…now! Wednesday’s Full Moon begins at 3:45p MST in the mutable air sign of GEMINI (opposite sign to Sagittarius, where the Sun now sits) and bring a lot of talk talk talk, wanting to be social, heads full of thoughts bouncing all over (what to do with all that energy?! ), data gathering and information sharing. Having traversed the waxing energy of this Moon cycle begun in the fixed water sign of Scorpio, and WALKED through any remaining Ego-self FEARS of moving forward onto a different path, by now that YOD, or Finger of God planetary formation should have indicated quite clearly WHERE you need to head in your Life. This Full Moon Illuminates ALL of the Old Patterns of Conditioning you once held onto, and are prepared to Let Go Of, once and for all! Yay! The CLEARER the neon sign of your New Direction/pathway, the better (and clearer!) you feel about ALL that you have successfully Let Go Of – yay! Congratulations and Celebrations and Salutations! Ceres in fixed Aquarius: brings Originality and Uniqueness in how you are able to bring in the Harvest and feed yourself and your family now. Many of us have lost our earning capabilities due to the downturn in the Energy sector – what next? Where do I go to work to feed my family, let alone myself? Ceres is a feminine asteroid, asking us to mother/nurture self, then others, feel abundant no matter what that bank balance looks like. Take a different look at that resume, take this Full Moon opportunity to network in areas not previously thought of before. Take care of the details along the way and don’t get stuck! Mars in cardinal Libra: Interesting, this group of planets connected with Love. Follow the Light of the Full Moon (in Gemini) to connect with your close peeps, then connect with your Unique Authentic Self and nurture the desire to connect within community (Aquarius), then take assertive ACTION (Mars) in a totally NEW partnership direction (Libra). The cardinal signs herald a new season, a change in the weather and the land. What NEW season is upon You that beckons action? Do you hear it? 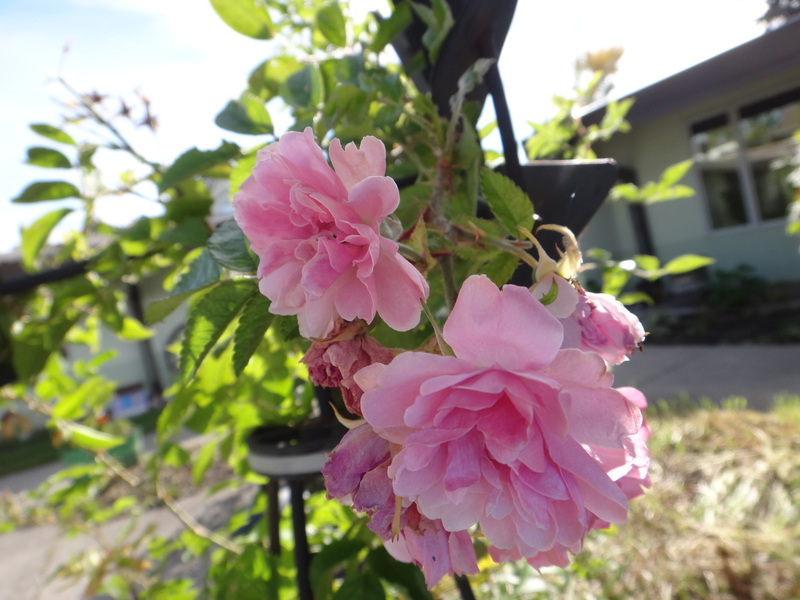 September 18, 2015 Roses still! Remember, we are still connected to that New Moon “seed” that was in Scorpio – all about TRUST issues (of self and others). Moving away from that which was Hidden, this Full Moon now Mirrors the Sun’s (Soul) Light, Illuminating the unconscious desires that were once buried deep within! At Full Moon that “seed” has blossomed into a “flower” – what does yours look like? What colour is it? Does it represent the colour of your new Rainbow Pathway? Did you land there yet? Do NOT stay on the pathway – head directly to your NEW SPOT on land. Follow that Rainbow/Golden Road, keep your eyes on the prize! The other planetary formation that will create some stress and tension within (as in “ants in your pants” energy!) is this Full Moon in Gemini in opposition to the Sun, Saturn and Mercury all in the mutable fire sign of Sagittarius, both squaring out to Neptune in Pisces! Here again we must create an “AND”, work together to move beyond our current locale (Gemini) and take further Soulful responsibility to set new goals (Saturn), keeping our Ego-minds free of fear and on the prize (Mercury) to Seek our Higher Truth OUT and away from our usual locale (Sagittarius). Take a moment to see the Big Picture of your Life – stand on your hill, look back at all you’ve experienced and what brought you to this moment. Turn towards your future, see the Rainbow Road that beckons to you, and send out your Arrow of Intention – do this now! The sooner you do this exercise, the sooner you bring in the AND, allowing the Light of the Full Moon to show you the new Rainbow Path into partnership of some NEW connection (could be personally, professionally, with clients and others, over LinkedIn or Twitter or Facebook – who knows?) connecting more directly with your Spiritual and Divine self (Pisces) dispelling any further Illusions, Delusions of Ego-self fear of moving away from your current Illusion (Neptune) and IMAGINE a brighter Now and Future for yourself! Yay! Yet another kick at that Old Age of Pisces can that is the Drama Triangle. Dispel the Victim, that need to BE Rescued (or to Rescue Others), feeling Persecuted (or BEing the Persecutor). LET. IT. GO. Now and forever, Amen.